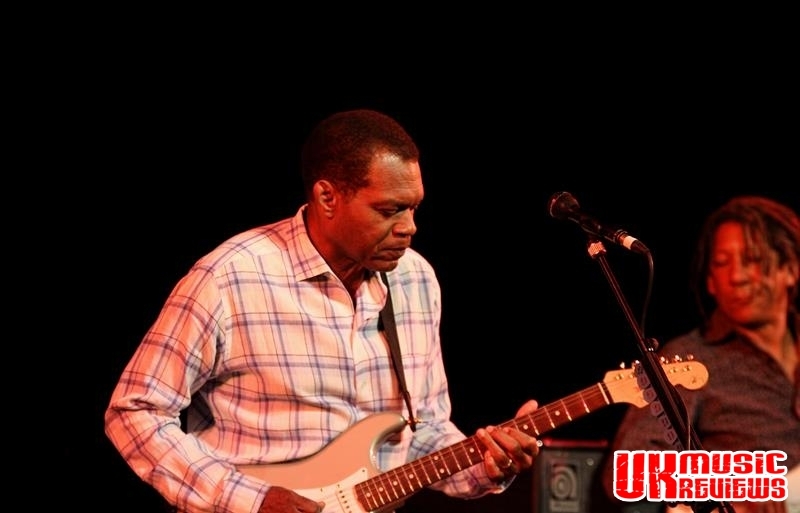 The Robert Cray Band performing their 4 Nights Of 40 Years Live Tour at The Royal Concert Hall Nottingham on Monday 5th October 2015. 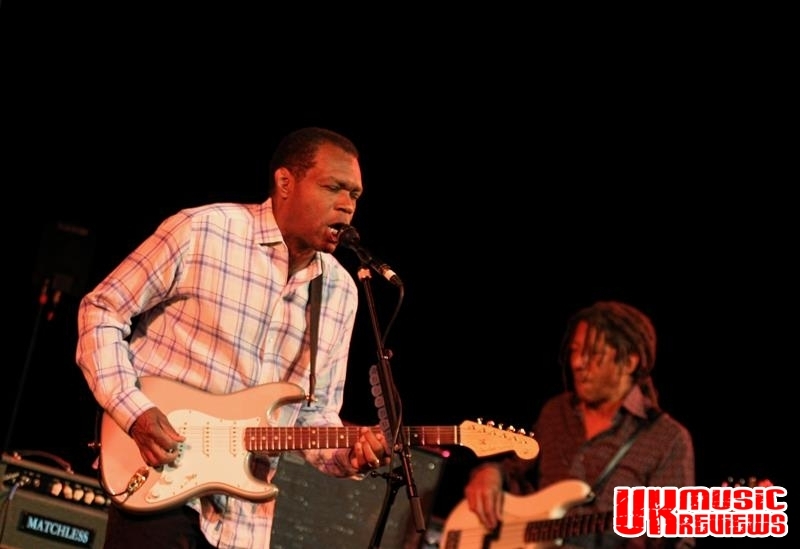 The Robert Cray Band returned to The Royal Concert Hall last night after an absence of nearly three years, and it was as though they had never been away. 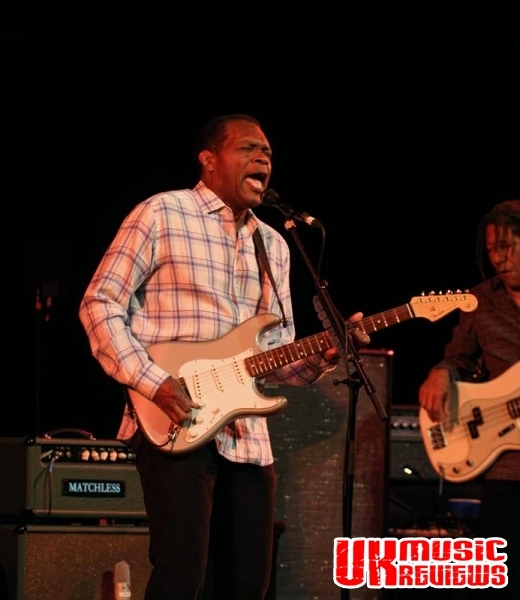 With an unpretentious set, this four piece band, fronted by the now legendary Robert Cray strode out onto a stage decked just with keyboards, drums, and guitars and launched into their opener, Blues Get Off My Shoulder. 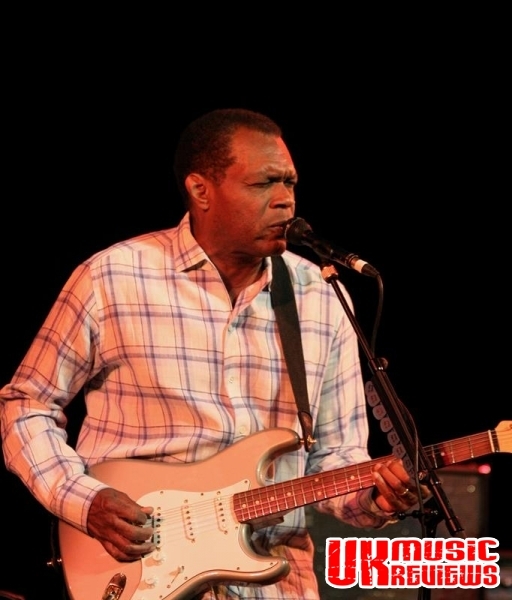 Cray, really is something else as he plays a wide variety of guitars effortlessly through a set that had this enthralled audience head nodding and foot stamping in time with the beat. 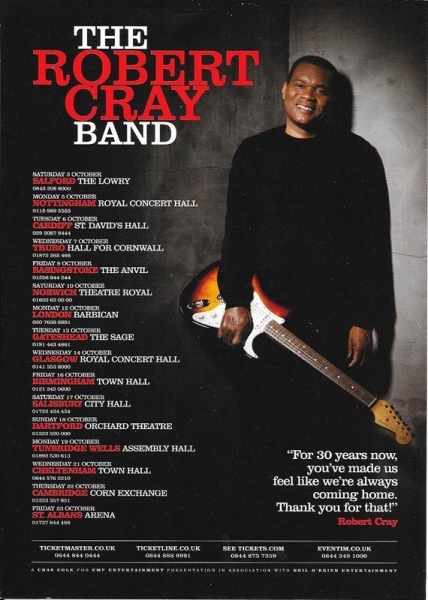 With songs such as Great Big Old House and Your Good Thing (Is About To End), Cray showed how easy it was to swiftly change the mood and the momentum. His deep soulful tones echoed out amongst those fans, both young and old that had come to see him. On tour to promote his latest album, 4 Nights Of 40 Years Live, he showcased songs from his four decade long catalogue. Bad Influence was really well received and Won’t Be Coming Home showed the depth of Cray’s vocals. Throughout, he was admirably supported by long time band member Richard Cousins who kept the watchers entertained with his charismatic charm. With this band there is no established set list, so deciding what to play after each number kept Cousins quickly changing bass guitar to the amusement of the audience. 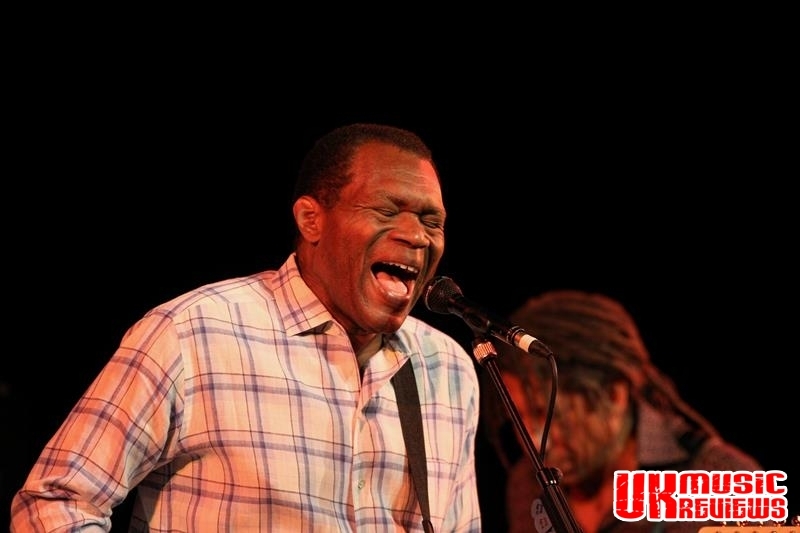 With his songs telling stories of love, hate, despair and relationships, it was easy to see why they are one of the best and most enduring blues bands around. 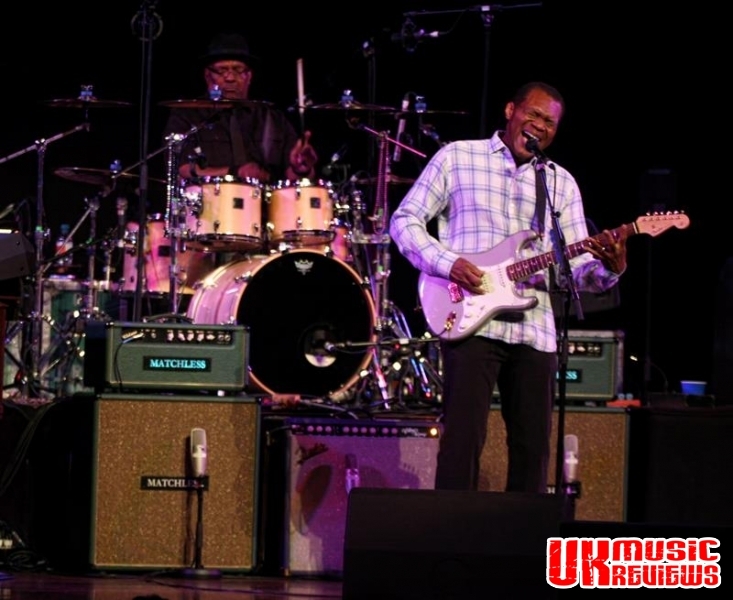 Whilst this was by no means a sell-out crowd, those that were there were treated to a fabulous evening by most certainly one of the leading artists in shaping modern blues music.